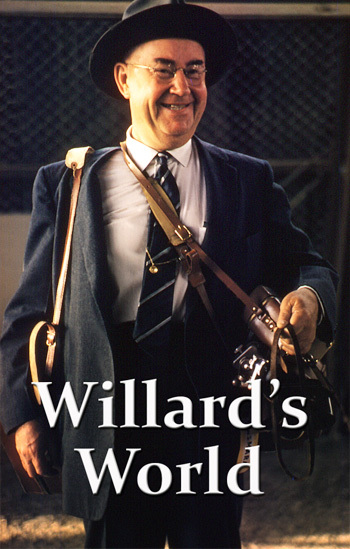 In 1958 Willard flew over the countless dunes of the Rub’ Al-Khali to visit the preparations for the company’s first drill site right in the middle of this enormous desert known as The Empty Quarter. He flew over entire mountain ranges of dunes piled on dunes. The dunes crawl their way up to the crest of the massive sand mountain to meet a sheer drop off the slip face. Of all the many photographs I’ve seen of the Rub’ Al-Khali, Willard’s picture of this towering ga’adah is exceptional. Depicted in a dreamy color pointillism, the desert landscape extends off into a horizon that might as well be infinity. 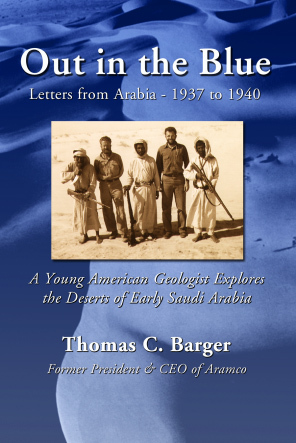 When my dad first explored the Empty Quarter in 1938, he described in his book, Out in the Blue his first encounter with this massive formation. We made 12 miles by noon and stopped to climb a nearby sand peak. Abdul Hadi pointed out Ga'adah Al-Arrada, a tremendous sand mountain, barely visible in the blue haze of the afternoon. A ga'adah is not a dune, but a huge sand pile made of dunes heaped upon dunes. This one is the landmark for the village of Arrada, which lies at the Ga'adah's base. Our forward progress wasn't exactly barred, but the steep sand slope in front of us didn't show any breaks where we could come back or up or over it. Had we wanted to keep going east into Oman, we could have made it, but we had to return the way we came. Stymied, we plotted our position then turned back a distance and made camp. Willard arrives at the desert airstrip in one of Aramco’s trusty DC-3 air planes. In almost any direction it is an entirely empty desert untouched for millennia. Willard can’t help admiring the desert’s shapely, sinuous beauty. With trucks, trailers, generators, tents and water tanks the drillers have established themselves in one of the most remote places on earth. Three stake-bodied 1957 Dodge Power Wagons – the truck that made Aramco. Note the huge tires and the customized hoists. From halfway up the dune behind the camp, Willard, like a good executive, captures the entire enterprise in one photo. Behind the trailers, the drilling pad is complete and about ready to accept the test rig. The DC-3, Willard’s ride back to Dhahran, looks like a Dinky toy dropped into a vast sand box. Though it almost slipped his mind, when Willard got home he had a terrific time at the Halloween party of 1958.